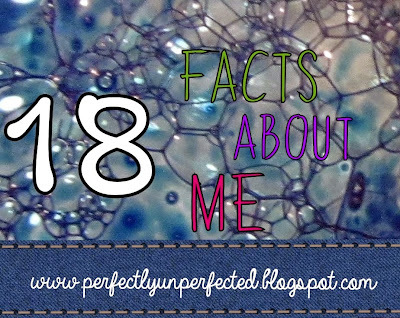 Since I've been blogging for a few months now, I thought it would be fun to share a few facts about me! And since I'm 18 years old, why not make it 18 facts? So here we go. 1. I have three siblings: Kristin (25) Marissa (22) and Micah (16) but Kristin is in fact my cousin, not my sister. My parents became her legal guardians when I was like... three, so I don't remember her not being with us. 2. I adore peanut butter. 3. 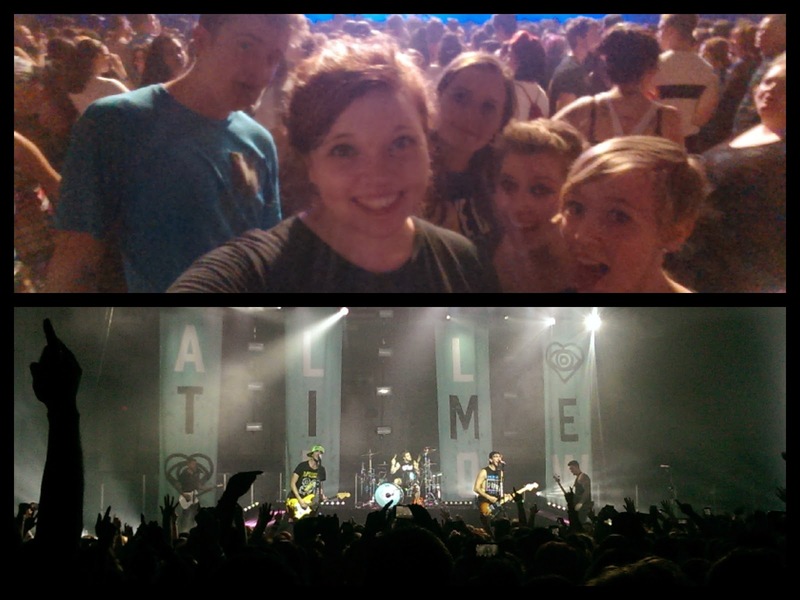 My favorite bands are Mayday Parade and All Time Low. 4. I absolutely love rainy days. 5. I have an equal adoration for both coffee and tea so please don't ask me to choose between them. 7. Oh, and when we were burying my turtle, it turns out he was still alive. But I was already bawling and heartbroken and my parents knew he would die soon, so they just buried him anyway and didn't tell me for another eight years. My dad still feels guilty to this day. 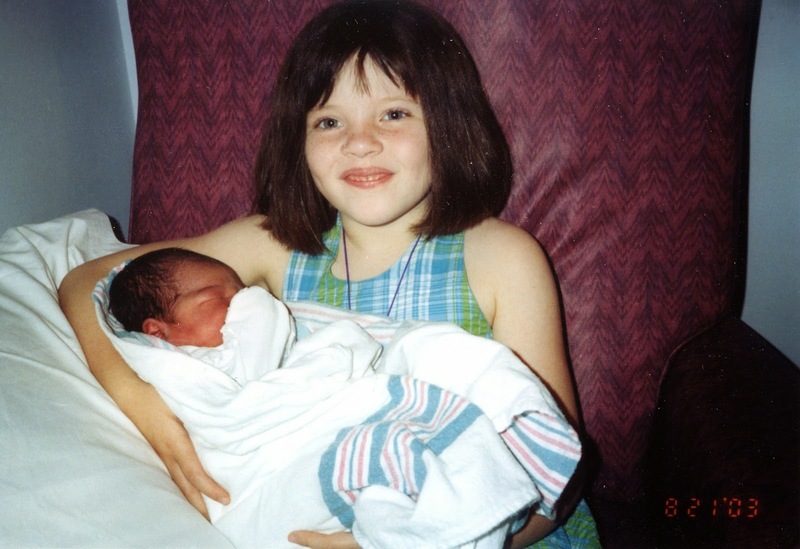 Okay, so I couldn't find any pics of me with my turtle, but this is a picture of me holding my newborn baby cousin just days after the death of my turtle. If you look, you can see a purple cord around my neck. That's a purple heart locket that I got from Chuck E. Cheese, and inside of the heart are my turtle's food pellets because I wanted something to remember him by. I wore that necklace for weeks! 9. My favorite TV shows are Boy Meets World, Once Upon a Time, and New Girl. 10. I can sing the whole riff off from Pitch Perfect and I am not ashamed. 11. I have Agnes' unicorn from Despicable Me and I'm not ashamed of that, either. 12. I am utterly obsessed with mini starbursts and Haribo gummy bears. 13. There is a Target 3.8 miles from my house and I go there so often the employees there recognize me when I walk in. 14. I can build some freaking sweet houses on Sims 2. 15. My birthday is October 23rd. 16. I currently have a betta fish named Swimmington. 17. I have 22 books on my shelf that have not been read yet, and that is too much pressure for me to handle. 18. I have multiple pairs of weird socks including blue ones with pineapples on them, pink ones with unicorns on them, mint green ones with two hedgehogs kissing on them, and gray ones with garden gnomes on them. 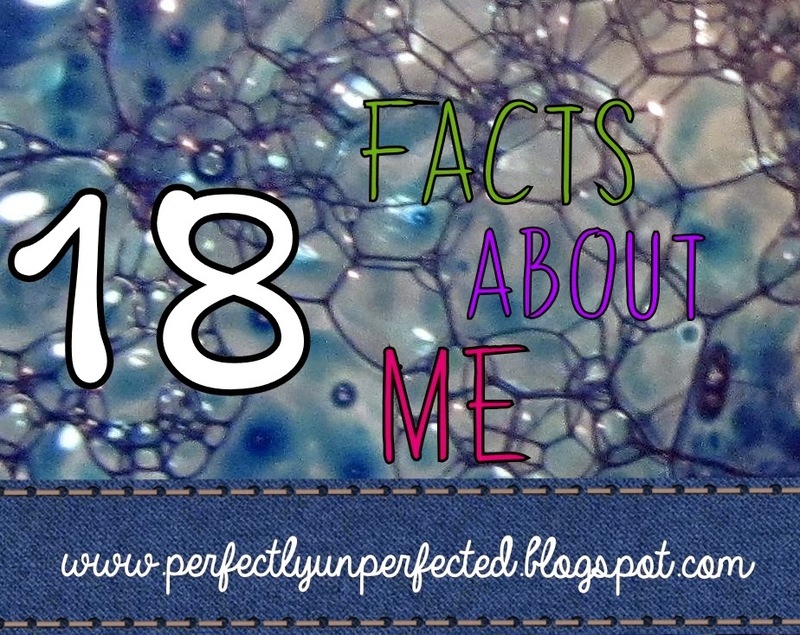 And that's 18 facts about me! Thank you guys so much for reading and commenting on my posts and subscribing. I was really hesitant about blogging when I first began, and now I'm amazed and touched by all the positive feedback and encouragement I have received. Thanks, guys! I just happened to stumble upon your blog via Pinterest (don't ask, I was looking up things for writing) and my Gosh, it (especially this post though) was like reading about myself. Seriously, I joke that peanut butter is my favorite food group (okay, so maybe it isn't a joke). 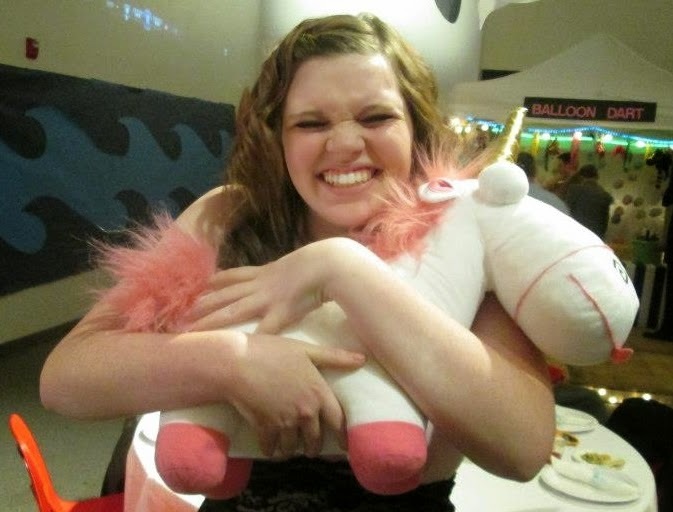 And Agnes' unicorn? Incredibly jealous. There aren't even words to describe the intensity of my jealousy.